The Silver City Gospel Mission Soup Kitchen serves hot delicious meals daily and is one of the most used of our services. We feed anywhere from 30 to over 120 daily and open at 8:30 in the morning and lunch preparation begins at 10 am. You will either be assisting our cook or you or your group may cook a meal on Friday. We do everything from cooking eggs and pancakes in the morning to serving enchilada casseroles and beef stew at lunch. We then serve the meal cafeteria line style and do dishes and clean the soup kitchen after. If you want to help out please fill out a volunteer form and schedule an orientation with our manager. You can come in any day of the week and help with breakfast beginning at 8, lunch beginning at 10 or both if you desire. 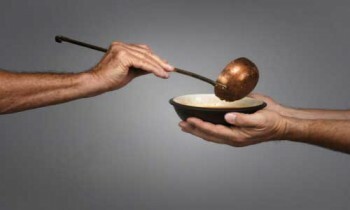 Share the post "Cooking, Serving and Cleaning Up In The Soup Kitchen"